The American capitalist class and their political stooges kill as many Americans every month as were killed in the terrorist attacks on 9 /11. These deaths are caused, that they are the result of calculations aimed at maximizing profit, makes them murder. Victims that are dying every 20 minutes die because some very wealthy people want to become even wealthier. Terrorists that kill through acts of terror are rightly called murderers. Those that kill for investment opportunities are not thought of as murderers but that is what they are - cold, calculating killers. Between 2005 and 2010, the number of people who died prematurely each year due to a lack of health coverage rose from 20,350 to 26,100. Between 2005 and 2010, the total number of people who died prematurely due to a lack of health coverage was 134,120. Each and every state sees residents die prematurely due to a lack of health insurance. In 2010, the number of premature deaths due to a lack of health coverage ranged from 28 in Vermont to 3,164 in California. The five states with the most premature deaths due to uninsurance in 2010 were California (3,164 deaths), Texas (2,955 deaths), Florida (2,272 deaths), New York (1,247 deaths), and Georgia (1,161 deaths). Today there are up to 27 million slaves in the world, more than at any time in history, even including during the trans-Atlantic slave trade. Haiti is home to one form of slavery propelled by economic desperation. Parents who cannot feed or school their children regularly give them away in the hopes that the family receiving them will offer more than they themselves can. Instead, the children usually end up in forced servitude, as restavèk or “stay with’s.” Anywhere from 225,000 to 300,000 restavèk work every day from before sunup to way after sundown. The children are as young as three, with girls between six and 14 years old comprising 65% of the population. They are often sexually and physically abused. The restavèk system is modern slavery. When a family takes in a restavèk to live with them, they stop doing any work in the house. The restavèk child has to do everything. If the child doesn’t work hard enough, they beat them. The child can’t eat with the family, and usually doesn’t even eat the same food – just scraps. He or she sleeps on the ﬂoor, often in the kitchen. They don’t pay the child; they just give them a little food. They never send him or her to school. The family views that child as an animal. It’s such a horrible system and it’s due to the economic situation of the country. You might have a family that has a lot of kids; that family can’t afford to give the child even food so they send him or her to the home of someone else, in the hopes that that person can provide better care. If in the words of Gandhi ”poverty is the worst form of violence,” then the Indonesian government is accountable to some 120 million out of the country's of 240 million citizens live on less than two dollars a day. The Indonesian government, which sets the poverty line at 7,800 rupiah (about 86 U.S. cents) per day – less than half that of the World Bank, which defines poverty in Indonesia as living on less than two dollars a day. In a country where rice – the must-have staple of the Indonesian diet – costs the equivalent of 85 U.S. cents per kilo, even this basic commodity is out of reach of the myriad poor. A cheapest meal of rice egg and vegetable at a roadside food stall, costs 10,000 rupiah (one dollar). “Many low income workers in Indonesia are only able to eat once per day. They will have fried banana for breakfast and a simple meal of noodles for lunch and maybe another banana for dinner,” said Binny Buchori, senior adviser for The Centre for Welfare Studies in Indonesia. Indonesia’s malnutrition has resulted in moderate to severe stunting in 40 percent of children under age five, according to a report by the Save the Children. Boasting Southeast Asia’s largest and fastest growing economy expensive shopping malls, luxury cars and high rise buildings are mushrooming in the country but equally growing are the number of slums and beggars. The Asian Development Bank says that Indonesia is the only country in Southeast Asia where poverty is on the rise, despite a 6 percent economic growth. The combined wealth of Indonesia’s 40 richest people is equivalent to that of about 60 million of its poorest citizens, or more than 10 percent of its GDP, according to recent statistics. “Despite the rhetoric about middle classes contributing to growth in Indonesia, 82 percent of the population is living on less than four dollars a day, and they account for 58 percent of household consumption,” according to a report by Standard Chartered. “Wealth and poverty are both on the rise.” said Buchori. Bright 15-year-olds from the poorest homes are lagging more than two years behind their richer peers, a study suggests. Dr John Jerrim of the Institute of Education said he had essentially been comparing the reading scores of the children of labourers and those of lawyers and doctors and argued that it was vital to narrow the gap. A nomad herding his cattle on the savannahs of East Africa with a mobile phone has better communications than President Reagan did 25 years ago; And, if he were on Google, he would have access to more information than President Clinton did just 15 years ago. We are effectively living in a world of communications and information abundance. This same cattle-herder can access: a GPS locator, local weather forecasts, video tele-conferencing, an HD video camera, a stills camera, translators, vast library of books and multi-media. All these devices come standard with a smart phone. In a short 15 years, the Internet has changed the way we work, communicate, and think. Knowledge, which used to be available only to the elite classes through books such as the Encyclopedia Britannica, is today abundant and free. In the past decade, Do-It-Yourselfers (working both in small teams or collectively, via crowdsourcing) have made major contributions to fields like healthcare, energy, education, water, freedom—areas that were once the sole province of large corporations and governments. This means that whatever challenges we face in the world—climate change, AIDS in Africa, energy poverty—more than ever before, we are now empowered to individually help solve these problems. And it’s now within our ability to do so. In an emerging field called digital manufacturing, 3D printers enable the production of physical mechanical devices, medical implants, jewelry, and even clothing. These printers use something like a toothpaste tube of plastic or whatever that squirts out thin layers of tiny dots of material that build up, layer by layer, to produce a 3D replica of the computer-generated design. Soon, we will have printers for this price that can print household goods. Within this decade, we will see 3D printers doing the small-scale production of previously labor-intensive crafts and goods. In the next decade, we can expect local manufacture of the majority of goods; 3D printing of buildings and electronics. Nanotechnology is also rapidly advancing. New types of materials such as carbon nanotubes, ceramic-matrix nanocomposites (and their metal-matrix and polymer-matrix equivalents), and new carbon fibers. These new materials enable designers to create products that are stronger, lighter, more energy efficient, and more durable than anything that exists today. Micro-Electro-Mechanical Systems (or MEMS), which make it possible to build inexpensive gyros; accelerometers; and temperature, current/magnetic fields, pressure, chemical, and DNA sensors. Imagine iPhone cases that act like medical assistants and detect disease; smart pills that we swallow and that monitor our internals; and tattooed body sensors that monitor heart, brain, and body activity. And then there is Artificial Intelligence, which has advanced to the point at which computers can perform medical diagnosis, and drive autonomous cars. Advances in medicine where we can grow replacement bladders, veins, arteries, esophagus, kidneys, and even starting with hearts now. Medical treatments becomes restorative. 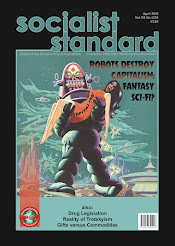 In the upcoming years robots and computer programs can substitute for human workers in jobs, automation eventually take over for humans in many industries. Unpleasant wage- labour no longer a necessity. People can take jobs that may never be automated, or even if they could be, consumers will want humans in those positions. Artists, entertainers, teachers, and others provide a “human touch” in their work that is unlikely to be achievable by any but the most impressive of artificial intelligences. A return to the craftsman's skill and aesthetic. We have the ability to meet and exceed the basic needs of every man, woman, and child on the planet. Abundance for all is within our grasp. We are living in a time of unprecedented opportunity. But it won’t happen without your help. Technology is not enough on its own to bring about this golden age. In this and the next decade, we could begin to make energy and food abundant, purify and sanitize water from any source, cure disease, and educate the world’s masses. The best part: it isn’t governments that will lead this charge; it can be the people themselves. For people who don’t know what post-scarcity is, in a nutshell it entails everything being free (the abolition of money). Everything being free occurs due to superabundance of goods and services. Superabundance will be created via AI, nanotechnology (nano-assembly nanobots), and 3D printing. Things only possess monetary exchange value due to scarcity. Prices are required to restrict limited supplies in situations of scarcity. Scarcity is artificially imposed by market forces or distribution factors which the markets impose. We can achieve a future where all available resources are effectively limitless. Capitalism is holding back innovation and slowing down the very technologies we need to save the planet. Findings from the report the all-party parliamentary group report, 7 Key Truths About Social Mobility confirms that, by the age of just three years old, the "class" of British children is already defined. Also, half of all British children's future prospects will be determined by the circumstances of their parents. The research found that, despite higher education being the top determinant of later opportunities, there are now fewer opportunities for poorer children to access the very highest-achieving institutions. Many top employers will only recruit from top universities, but with just 19 per cent of the "lowest" socio-economic group - compared with 65 per cent of the "highest" socio-economic group - actually going to university, what chance do those born into poverty realistically have? The Sutton Trust found the education gap between disadvantaged and privileged children in the UK was greater than in virtually every other Western country. Just seven per cent of the English population is privately educated. However, within that miniscule seven per cent, one can find 70 per cent of High Court judges, 54 per cent of FTSE-100 chief executives, 51 per cent of top medics, 32 per cent of MPs, and 24 per cent of university vice chancellors. There is no clearer illustration then that the stranglehold of "top jobs" in the UK are dominated by former "public schoolboys". The UK is run by a group of men who attended independent schools where the annual fees - £31,000 ($48,500) at Eton College, which counts Prime Minister David Cameron among its alumni - are more than the average annual earnings of the British worker (£26,200/$40,850). Sadly, our governing elite will never understand the true meaning of austerity, and their only association with the minimum wage will be reading it in a press release. Barclays was fined a record £290 million for repeatedly distorting basic financial data which are used to set interest rates on millions of loans and other transactions around the world amid claims that his bank’s actions posed a threat to the global market system. The scandal relates to the London Interbank Offered Rate (Libor), the interest rate that banks pay on money they borrow from one another. The Libor rate is one of the basic pieces of information on which trillions of pounds of financial transactions are based. It helps determine the interest rate that is applied to loans, including some mortgages, credit cards and business loans. Just where are the criminal charges against the individuals involved? Not even being black-balled from their private club. Its the old school tie get out of jail free card being played again. On, June 21, 1877, four men were executed by hanging in Mauch Chunk, Carbon County. Their names were Alexander Campbell, Michael Doyle, John Donahue and Edward Kelly. On the same day, in Pottsville, six men were executed by hanging. Their names were James Boyle, James Carroll, Thomas Duffy, Hugh McGeehan, Thomas Munley and James Roarity. This was the "Day of the Rope" - the largest "legal" mass execution of citizens in American history. These victims were labor activists, made examples of what would happen to those who tried to make their lives and their families' lives better by demanding better economic conditions. They were union men, and the rich and powerful wanted them dead. All were said to be associated with the "Molly Maguires", an organization historians still are not certain actually existed. What we do know to be true, though, is that there was a very small percentage of the population that controlled most of the wealth and enjoyed monopolies in all the major industries. "Money" ruled the politicians and the courts. After decades of submitting to the coal barons, the workers revolted. Workers who were considered union (unions were just being organized at the time), and those who weren't union, both withheld their labor and the flow of coal that fueled the whole country stopped. Rather than negotiate an agreement with the workers that could help them achieve a livable lifestyle, the coal barons put their money into creating a private police force (Coal & Iron Police). They also put their money into hiring the country's most expensive detective agency (the Pinkertons). The battle was to crush the labor movement and the super rich of the era decided to make sure they'd not have to have this battle again. 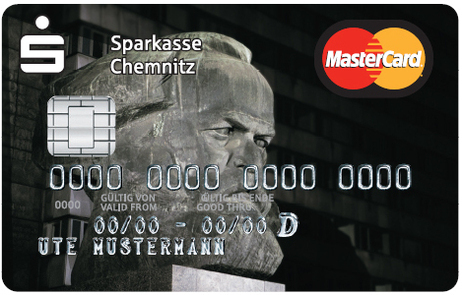 In the end, all the workers' determination and spirit just wasn't enough to overcome the power of money. The names, places and tactics have changed, but the philosophy is still the same. Most of the rich and powerful in this country would eliminate or even outlaw labor unions if they had their way. After Wisconsin Gov. Walker's victory in the recent Wisconsin recall election many right-wing pundits described it as beginning of the end and the demise of organized labor. They suffer from a case of amnesia forgetting that a more far-reaching anti-union bill in Ohio last November was defeated by union supporters. 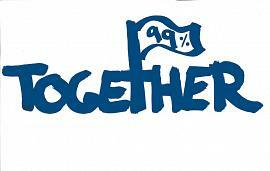 Unions use collective bargaining to improve levels of workplace justice for union members. Union contracts have a “spillover” and "trickle up" where non-unionized workers see their own wages and conditions improve as the result of the last set of union action. Unions are the tools that help protect employees. Non-unionized workers will support labor unions when they are inspired to do so; if the non-union community trusts labor to fight for their interests, they will fight alongside unions. Rather than vilify the labor movement, we should appreciate that unions are the only institutions in our society that endeavour to introduce some degree of democracy into the workplace and allow employees to collectively negotiate with employers about wages, hours and terms of employment. Without unions workers are reduced to a commodity that bosses can purchase as cheaply as they can possible. Left to its own devices, capitalism will concentrate money and power in the hands of a few and wealth inequality grows ever greater. Unions were created to combat these tendencies and to protect workers from their employers’ unrelenting pursuit of money and accumulate capital. While employers want to maximize profits, workers want enough to pay their bills and lead a comfortable life. Hence, there is a power struggle between workers and employers over how much of the company’s profits will go to wages and benefits and how much to the owners. Given that the owners have far more money at their disposal than the workers, one might assume that they hold the reins of power in their hands and can dictate the outcome. For this reason, union struggles can change the entire political and cultural landscape. When workers decide to take a stand in order to break the cycle of growing inequalities in wealth, when they fight for a decent standard of living that includes a living wage, job security, health care and retirement with dignity, not just for themselves but for everyone, they inspire all working people and create the possibility of a massive social movement that has the potential to forge historic changes. People are inspired by movements that aim at creating a better world for everyone, where those who need help are given what they need, where people contribute according to their ability, and where no one advances at the expense of others. This more ennobled sense of humanity engenders inspiration in a way that money never can. And people are inspired when workers wage a real fight. When these social movements achieve momentum, money no longer plays the deciding role. People shed their disconnected isolation, become engaged and talk with one another, become knowledgeable of the issues, and derive strength in their numbers. And massive numbers of people demonstrating for a common goal has proved time and again to be the prevailing factor. Labor's inherent power of unions lies in their numbers, organization, and ability to collectively assert themselves in the workplace and streets. This is how labor became strong; the mass strikes and street demonstrations that built the labor movement created an organizational power that neither Democrats nor Republicans dared touch.Unions were not given this power by compassionate Democrats in past generations; power was forcibly taken from the Democrats. However when workers fail to put up a fight, it will again be money that prevails. A survey by think tank Centre for the Modern Family shows people are being battered by increased living costs and falling wages. 20 per cent of families are struggling to cope financially while another two-fifths are “just getting by”. Another survey confirms that a fifth of adults - 11 million people - have absolutely no savings. Falling incomes and welfare spending cuts have triggered an explosion in demand for emergency food parcels as Britain's poorest families struggle to put a meal on the table, say charities. FareShare, a charity that supplies millions of free meals to charities, food banks and breakfast clubs using food donated by supermarkets, said it could not keep pace with demand, which it expected to continue growing for at least five years. FareShare said the food it distributed in 2011-12 contributed to more than 8.6 million meals, benefiting an average 36,500 people a day via 720 organisations that deal with people in food poverty. FareShare estimates it could provide 70 million free meals if just 1% of the estimated 3 million tonnes of food fit for consumption "wasted" each year in the UK by the food industry was rescued. Britain's biggest food-bank network, the Trussell Trust charity, reported in April it had doubled the number of emergency food parcels issued over the past year and was opening food banks at the rate of two a week. The trust, which operates 201 UK food banks on a franchise basis, reported l in April that it had fed 128,000 people over the past year, distributing 1,225 tonnes of food donated by the public, schools and businesses. It estimates that half a million people a year will be in receipt of a food parcel by 2016, by which time it aims to have opened 500 food banks. Chris Mould, director of the Trussell Trust, said: "Every day we meet parents who are skipping meals to feed their children or even considering stealing to stop their children going to bed hungry. It is shocking that there is such a great need for food banks in 21st-century Britain, but the need is growing." The Salvation Army, whose churches issue food parcels on an informal basis, said its biggest distribution point, in Keighley, West Yorkshire, was so inundated this year it had to temporarily restrict food parcels to people referred by local charities and health professionals. The pharmaceutical industry has some of the deepest pockets of any industry when it comes to lobbying and pushing federal officials to license its products, as such approval can yield billions over many years. But obtaining federal approval is often slow, costly and very frustrating, both to drug makers and to sick people who are desperate for cures when legally approved prescriptions fail. Rosenberg: Like Moody’s and Standard & Poor’s are funded by their clients? Rosenberg: Most of Pharma’s power to mislead and harm comes from such opaque and distorted data, you charge in Pharmageddon. Rosenberg: Many conflicts of interest in your book, including COPE’s leadership, are structural and create a closed loop of misinformation, especially because of the money that Pharma wields. How can sunlight and transparency ever break through? Healy: Some colleagues and I are in the process of fine-tuning a free web site that offers FDA MedWatch data with other crucial dug information but gets people affected by treatment to report in detail for perhaps the first time. The site, called RxISK.org, also helps patients file an adverse event report to US and Canadian authorities, with other countries to follow. For too long, patients, doctors and pharmacists have been isolated from each other when they encounter adverse drug events and only Pharma’s messages get out. This will help them communicate directly. The best-paid corporate lawyers are like master chess players. They are always thinking about their next series of moves to win—to protect profits. They look for accomplished scholars to help them frame new issues and arguments in many areas of law, including law professors who specialize in the First Amendment. When drug and medical device makers wanted to make a case that the federal government should let them tell medical professionals about ways their products can be used that haven’t been approved by federal regulators, they turned to Martin Redish, one of the foremost commercial speech scholars, to write a paper arguing exactly that—by citing the First Amendment privilege to disseminate information. The paper, “Off-Label Prescription Advertising, The FDA and The First Amendment: A Study in the Values of Commercial Speech Protection,” argues that drug and medical device makers should be able to sell their products for uses not licensed by the FDA (hence the "off-label" moniker). They argue that the FDA is “unambiguously inconsistent” with approving alternative uses for drugs and devices, which ultimately harms the public. Moreover, not sharing information about other uses with medical professionals violates the company’s First Amendment commercial speech rights, Redish said, because the information they want to share is factual and true. First Amendment law is complex. There are different legal standards for political speech and commercial speech. Redish’s argument that the FDA’s failure to allow discussion of these alternative uses is unconstitutional censorship is shrewd and parses some fine legal lines. Researchers and physicians are free to share information about off-label uses and do all the time—that’s how science works. The FDA’s prohibition is about how companies market those off-label indications, which involves profit motives. After citing a history of the FDA changing its mind about approved uses since the 1960s, Redish becomes indignant, noting that between 1993 and 2001, the FDA took strong steps against “materials of a lasting nature like books, audio, video tapes and software” that curbed the “free flow of information.” But “starting in 2001, the FDA at least gestured in the direction of First Amendment values, but that period of greater circumspection proved short-lived.” In other words, under the Clinton administration, the FDA cracked down. Under the Bush administration, its political appointees initially eased up. And now, under the Obama administration, the FDA is again saying no. The federal government’s effort to push junk food makers to voluntarily change the way they advertise to children and teens is one of the highest-stakes legal battles over product labeling. After a multi-year, multi-agency effort based on extensive science, the food and broadcast lobbies prompted Congress to withhold funding for this Federal Trade Commission-led effort earlier this year—despite the startling fact that many tens of millions of American youths are either overweight or obese. In other words, Sullivan is saying "don’t blame us" and "leave our ad revenues alone." In a shocking although not unexpected report, detailed here, it seems that of 90 key goals to protect the environment, only four have any chance of success. "If current trends continue, if current patterns of production and consumption of natural resources prevail and cannot be reversed and 'decoupled,' then governments will preside over unprecedented levels of damage and degradation," said UNEP Executive Director Achim Steiner. The phonebook-sized report, the fifth edition of the Global Environment Outlook (GEO), was issued ahead of the June 20-22UN Conference on Sustainable Development -- the 20-year follow-up to the landmark Earth Summit, also in Rio. Preceded by a series of forums gathering as many as 50,000 policymakers, business executives and activists, the summit aims at plotting a course for green development over the next two decades. But the report warned of many challenges, painting a tableau of a planet whose resources were being stressed into the red zone. Since 1950, the world's population has doubled to seven billion and is on course for around 9.3 billion by 2050 and some 10 billion by 2100. At the same time, use of natural resources has zoomed as emerging countries follow rich economies in a lifestyle that is gluttonous on energy and use of water, habitat and fisheries. "The scale, spread and rate of change of global drivers are without precedent. Burgeoning populations and growing economies are pushing environmental systems to destabilizing limits," said the report. It analyzed 90 objectives for the environment identified by UN members. Only four have seen significant progress: scrapping CFC chemicals that damage Earth's protective ozone layer; removing lead from fuel; increasing access to clean water for the poor; and boosting research to reduce marine pollution. In 40 goals that UN member states asked to be monitored, there was "some" progress, such as expanding national parks and tackling deforestation. But there was little or no progress in 24 others, including curbing climate change, fisheries depletion and desertification. "The scientific evidence, built over decades, is overwhelming and leaves little room for doubt," Steiner told a press conference in Rio. "The moment has come to put away the paralysis of indecision, acknowledge the facts and face up to the common humanity that unites all peoples," he said." In other words, despite all the platitudes, all the green-logo's, all the conferences, t-shirts, slogans, carbon-reduction programmes, and other assorted waffle'n'crap, we are no nearer resolving the planet's environmental issues. It is an EPIC FAIL that ultimately can mean make or break for humanity. It doesn't need a phone book-sized report to tell you this, just look around. 20 years of 'green' improvement and we are no better off than when we started other than some token reforms at the periphery of what needs to be done. All political parties, right left and centre, Greenpeace, Friends of The Earth, and all the other well-meaning pressure groups, lobbyists and reformers cannot or will not understand that there is NO solution inside capitalism. The current system's only goal is making money and to that end the world will continue to be raped until it has no more to give. 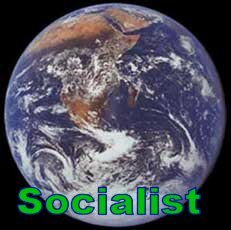 A Socialist world isn't a crazy pipe dream, it is the only way to save ourselves, our planet and our futures. According to THIS report, tax avoidance in the UK is costing on average and extra 2p in the pound on the average rate. In a week which saw comedian Jimmy Carr publicly lambasted for using a legal tax haven to avoid paying higher rate taxes, as well as the laughable moral position taken by the Prime Minister on the affair, is personal tax avoidance the real issue? Other reports elsewhere suggest not. Whilst individuals may manage to avoid paying some tax, businesses are well ahead of the game here and cheered on from the sidelines too. According to figures published online in this article, UK businesses avoid paying a whopping £69.9 BILLION using perfectly legal means to do so. In 145 countries around the globe, corporate tax avoidance adds up to an eye-watering $3.1 TRILLION DOLLARS, somewhat paling into insignificance personal tax avoidance as well as that other beating drum of the right-wing press, benefit fraud. The truth is, businesses avoiding paying taxes because it is sound economic sense. But is it immoral as the PM suggests? Toby Young wrote for The Telegraph back in February that "Tax avoidance isn't morally wrong. It's perfectly sensible behaviour." And from a business, profit making perspective he is correct. The PM and others may condemn the individual, but the gulf between individuals and businesses in the tax-avoidance game, and the corresponding silence from the lips of most politicians on the issue, merely acts to highlight who they ultimately serve - the interests of big business and capital. Widen the question then, and the 'morality' of business and capitalism in general comes into the debate. Here the truth is easier to define though - all profits are immoral as they are the stolen labour of the working classes. Capitalism at its core then, is an immoral system. But you knew that already, right? an ordinary family just like us, eh? Although arcane, royal etiquette and protocol is taken very seriously in the royal family, whose members bow and curtsy to each other even in private. The Queen has recently updated the Order of Precedence in the Royal Household. The new rules of Court make it clear that the former Kate Middleton, when she is not accompanied by Prince William, must curtsy to the “blood princesses”, the Princess Royal, Princess Alexandra, and the daughters of the Duke of York, Princesses Beatrice and Eugenie. Despite being married to the Queen’s son, the Countess of Wessex will, however, have to curtsy to Kate, even when William is not present. After Charles remarried, the Queen changed the Order of Precedence “on blood principles” so that neither Princess Anne nor Princess Alexandra, the granddaughter of George V, would have to curtsy to Camilla when her husband was not present. The Order of Precedence affects other aspects of royal protocol, such as who arrives first at an event. For example, Camilla was forced to wait in the drizzle outside the Guards Chapel, Windsor, for the arrival of Princess Anne at a memorial service in 2006, because Charles had not accompanied her. Here we go again, more housing insanity..... According to this report, the latest idea is to redirect the £20billion housing benefit 'bill' into building more homes instead. "The Institute for Public Policy Research (IPPR) think-tank's proposal came in a report published today outlining its "radical strategy" for ending the housing crisis in the UK. IPPR argues the housing sector's problems are multifaceted, stating: "Demand has heavily outstripped supply for decades. Homeownership is too often out of reach. Social housing is being residualised. The private rented sector remains largely unprofessional and insecure and those who live in it have too little control." "Housing policy has been piecemeal and disjointed across various departments under governments of all colours," IPPR continued, "[and] many of the problems in English housing are deeply embedded." Meanwhile back in the land of reality, the Empty Homes campaign highlights that there are up to 720,000 empty homes in the UK at any given time and according to the Government statistics, there were approximately 50,000 households classed as homeless in the year to December 2011, well short of the vacant property figures. This underlines again, that the issue is NOT one of a shortage of homes, but demonstrates that people have one single barrier in their way and that it money, or lack of it. The housing and homelessness crisis will never be solved under capitalism, no matter how many think-tanks, policy reviews, brainstorms or other kinds of lunacy are thrown at it. Neither will simply building more and more and more houses make any difference, as the above figures show. Low-wage work encompasses people with incomes below twice the poverty line—not poor but struggling all the time to make ends meet. They now total 103 million, which means that fully one-third of the population has an income below what would be $36,000 for a family of three. The wage of the median-paying job barely grew—by one measure going up only about 7 percent over the 38 years from 1973 to 2011. Half the jobs in the country now pay less than $33,000 a year, and a quarter pay less than the poverty line of $22,000 for a family of four. In the bottom tier are 20.5 million people—6.7 percent of the population—who are in deep poverty, with an income less than half the poverty line (below $9,000 for a family of three). Some 6 million people out of those 20.5 million have no income at all other than food stamps. The National Coalition for the Homeless claims that each year 3.5 million Americans experience homelessness. The percentage of people in deep poverty has doubled since 1976. In the 60s President Lyndon Johnson launched the war against poverty. The level of poverty in the nation was at 11.1 percent in 1973. It was 11.3 percent in 2000. The U.S Census Bureau currently claims that 15.1% of the population is living in poverty - the highest number since 1959. It is apparent from the figures that poverty won the war. What, how, how much and for whom to produce? Those are the questions that must be answered. Science and technology are capable of many wondrous things but the answer for the future does not lie in scientific inventions of geo-engineering and other new technologies. New technologies should not mean limitless, reckless economic growth propelled only by capitalist motives. Scientific advances can help resolve certain problems. Nor is the solution in the creation a new speculative market. In the name of the environment, hedge and pension funds, venture capitalists and commodity traders have come together claiming stewardship Nature. Corporations are promoting more capitalism under the ambiguous name of “green economy.” The term "green economy" means commodifying and marketising nature. 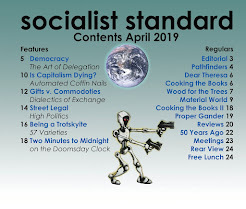 According to proponents, the mistake of capitalism is that the free market had not gone far enough and that recurring energy, climate, environmental and food crises are results of “gross mis-allocation of capital”. Thus, “green economy” capitalism is going to fully incorporate nature as part of its capital. They are identifying the specific functions of eco-systems and bio-diversity that can be priced and then brought into a global market as “Natural Capital.” The architects of the "green economy" believe the instruments of the market are powerful tools for managing the “economic invisibility of nature”. "Ecosystems provide trillions of dollars in clean water, flood protection, fertile lands, clean air, pollination, disease control - to mention just a few. These services are essential to maintaining livable conditions and are delivered by the world's largest utilities. Far larger in value and scale than any electric, gas, or water utility could possibly dream of. And the infrastructure, or hard assets, that generate these services are simply: healthy ecosystems. So how do we secure this enormously valuable infrastructure and its services? The same way we would electricity, potable water, or natural gas. We pay for it." - a report by The Ecosystem Marketplace. Living under the religion of profit and loss in a market church controlled by it capitalist clergy, makes almost anything negative sound positive. The logic goes like this: A rainforest in Bolivia, for example, not only serves the people who make their lives in it, but also provides environmental benefits to the world at large by sucking climate-altering carbon out of the atmosphere. That value can be calculated in economic terms and be used as the basis for payments to governments and the peoples living in those forests as incentives for their preservation. This idea of ‘payments to preserve’ may sound solid in theory, but it is the reality on the ground that has many in Latin America up in arms. The current financing mechanism of choice is carbon offset credits, essentially permission slips purchased by corporations and governments to allow continued dumping of carbon into the stressed atmosphere. As Latin American environmental and indigenous leaders point out, carbon offsets are a recipe to keep the planet on the same trajectory toward steep climate change, with people in impoverished countries, like Bolivia, paying its harshest price. Environmental and indigenous groups also warn that when their water and lands become just another global commodity up for trade, the loss of control is soon to follow. Looking at the big global plans ahead for their natural resources, what many see is a 21st century version of the resource theft. Indeed under capitalism we don't value the natural world properly but we should not confuse "value" with "price". It is argued that to conserve or protect the resources and functions we need from nature, we need to ascribe a financial value to them and bring them into the market. Then we will pay the proper price for nature and stop destroying it. 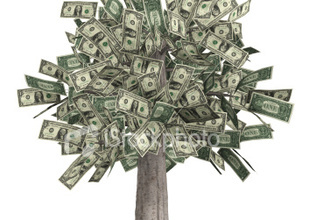 Large sectors of global business only see "the green economy" as an extremely profitable business sector. The goal is not just to privatize material goods that can be taken from nature, such as wood from a forest, but also to privatize and moneterize the functions and processes of nature, label them environmental services, set a price and then bring them into the market. In the same report, the contributors already have estimated annual values for these environmental services. An example of “green economy,” is the program REDD (Reduction of Emissions from Deforestation and Forest Degradation). REDD's purpose is to isolate one of the functions of forests - its ability to capture and store carbon - and then measure how much CO2 it can capture. Once the value of the potential carbon storage of the forest has been estimated, carbon credits are issued and sold to rich countries and big corporations who then use these to offset, or buy and sell, polluting permits in the carbon markets. For example, if Indonesia, which has a deforestation rate of 1,700,000 hectares per year - only deforests 1,500,000 hectares next year, it will be able to sell in the REDD market, the carbon credits for the amount of CO2 that is stored by the remaining 200,000 hectares. In theory, REDD provides a monetary incentive for not deforesting. In actuality, corporations purchasing credits can release into the atmosphere the amount of CO2 they paid for. In other words, carbon credits are polluting permits for the rich. Additionally, only countries that reduce their deforestation will be able to put carbon credits in the REDD market. So if a region has always preserved its forest, they will not be able to sell any carbon credits from reduction of deforestation. So what is happening now, for example, in some parts of Brazil, is that in order to be prepared for REDD, trees are being cut with the purpose of increasing the deforestation, so that, tomorrow, the reduction of the “deforestation” will be higher and the amount of carbon credits that can go into the market will be bigger. Friends of the Earth explains "European Emissions Trading Scheme (ETS) - the largest carbon market mechanism in the world – has failed to deliver genuine carbon emissions reductions. Instead it has allowed companies to make massive profits out of the system without changing their business model or cutting carbon emissions." It places all its faith in markets, despite the recent financial and economic crises. The lessons provided by the chronic failure of deregulation and market-based approaches have been ignored. Banks and multinational companies, are using the phrase “green economy” as a smokescreen to hide their plan to further privatise the global commons and create new markets for the services nature provides for free. “Out of this Trojan horse will spring new market-based mechanisms that will allow the financial sector to gain more control of the management of the global commons,” the World Development Movement NGO warns. "Instead of contributing to sustainable development and economic justice, this “corporate green economy” would lead to the privatisation of land and nature by multinational companies, taking control of these resources further away from the communities which depend on them" WDM said. The lack of public funds has become something of a standard excuse rolled out by industrialised countries to justify either not meeting climate finance targets. Cash strapped governments, are being told to use private money to make up the gap and that that the only way to get the billons of dollars needed for the preservation of water, forests, biodiversity, agriculture and others is through private investment. But the private sector will not invest profits - accumulated through the exploitation of labor and material goods of nature - without an incentive. And so, governments need to offer them this new business of making profit from the processes and functions of nature. If there is no pricing of some functions of nature, new market mechanisms and guarantees for their profit… the private sector will not invest in ecosystem services and biodiversity. It is premised on the principle that the rules of the market will save nature. Nature cannot be submitted to the wills of markets. Instead of putting a price on Nature, we need to recognize that humans are part of Nature and that Nature is not a thing to possess or a mere supplier of resources. The Earth is a living system, it is our home and it is a community of interdependent beings and parts of one whole system. We humans are just one element of the biosphere. The capitalist system has gotten out of control and like a virus it's going to kill the body that feeds it. Only through replacing growth with a steady-state economy can we be sustainable. This, however, does not mean advocating zero-growth worldwide, because that would deny development to a majority of the world’s population in urgent need of material advancement. Capitalism is going to make life near-impossible for humans as we know it. we need to recapture nature from the market's grasp, nurturing and legitimising more interconnected human-ecological relationships and understandings, along with tried-and-tested forms of local ecosystem stewardship based on them. We need to overthrow capitalism and develop a system that is based on the world community - a real commonwealth of peoples. It’s time to build a new decentralised, democratic, horizontal model, where all ecosystems are respected. A true green economy would put an end to harmful policies which put profit before people and also end our obsession with economic growth and unsustainable consumption and embrace a focus on how everyone’s needs can be truly met in an sustainable manner.It means dismantling the corrupt, top-down power structures that maintain wealth for the few and reinstating decentralised, community-controlled economies. Only through replacing growth with a steady-state economy can we be sustainable. This, however, does not mean advocating zero-growth worldwide, because that would deny development to a majority of the world’s population in urgent need of material advancement. Instead of applying market rules to nature what we need is to forge a new system based on the principles of: harmony and balance among all and with all things; common ownership and collective well-being; the satisfaction of the basic necessities of all. The global response needed to confront the crisis we face requires structural changes. We must change the capitalist system, not the Earth's system. The time has come to unite the thousands of struggles, the hundreds of campaigns, all the movements and organisations combating the many different ways capitalism has appropriated our destinies in every part of the planet. Peoples' liberties have been violated, the Earth and its resources destroyed and pillaged while companies continue to commit economic and ecological crimes without constraint. These corporations, driven by their imperative of maximising profit, pit workers from different regions against each other in a race to the bottom.The multi-nationals operate globally, moving from one country to another, applying the same recipe to generate profit at any cost. It is we, the working class, who bear the costs. Yet resistance is growing throughout the world. Every day, more communities and peoples struggle against these companies. Even so, we have not managed to halt the advance of corporations. When defeated in one place, they adjust their strategies and move to another location. There is the urgent need for a concerted response. We must unite our experiences and struggles, learn collectively from success and failure, and share our analysis and strategies for putting an end to capitalism. Voting is only one step in taking control of your future. Being politically and socially active is more than voting, however. We invite you to join us in collectively building this process of mobilisation towards a global campaign against the power of the capitalist and coordinate global struggles, combining street protests with education and political action to create a potent movement of solidarity and practical opposition against big business, its apologists and its promoters. The truth and knowing the facts will prevent us from being fooled into believing what’s bad is good. "The pioneering pilotless aircraft have been developed by the global wildlife organisation, WWF. They have had some initial use in Indonesia and talks are underway to introduce them elsewhere, including in Tanzania and Malaysia. Developers say they are cheap to buy and run and could help conservationists across the developing world. In Nepal, endangered species, including rhinos and tigers, are suffering from the combined effects of poaching and habitat destruction. The drones can address both.Poachers often slaughter the animals inside Nepal's national parks. "We hope these drones will be useful in detecting poachers as they enter the parks," Dr Serge Wich, a biologist with the Anthropological Institute at the University of Zurich and one of the innovators behind the project, told the BBC. "If they see poachers in the area, they can send out a team to catch them." The small-scale, remote-controlled drones are still being refined. They are light enough to be launched by hand and fly a pre-programmed route of up to 20km (12.5 miles), filming the ground below with a stills or video camera." Whilst on the face of it this may seem like a sensible idea, the reality is that without capitalism, the cause of poaching would not exist. Like so many other ills of this world, men kill animals not because they are hungry or need to, or even enjoy it, but because it pays them to. Profit drives the slaughter of endangered species, just as it drives the destruction of habitat. Flying smart-arse planes in attempts to catch or stop the killing will not remove the root cause and therefore not solve this issue. Just as humanity's survival depends on us learning to respect ourselves and our future by putting people and needs in place of profits, so does the survival of all other living creatures and even of the Earth itself . "I think some of these schemes - and I think particularly of the Jimmy Carr scheme - I have had time to read about and I just think this is completely wrong," he told ITV during a round of TV interviews in Mexico, where he is attending a G20 summit. "People work hard, they pay their taxes, they save up to go to one of his shows... He is taking the money from those tickets and he, as far as I can see, is putting all of that into some very dodgy tax-avoiding schemes. "But some of these schemes we have seen are, quite frankly, morally wrong." Wow. Can this surely be the same Mr Cameron who, according to this report back in 2008 alledgedly used over £20,000 of public funds to pay his mortgage? And another £2,000 for food and £4000 for cleaning? Apparently claiming 'expenses' is not morally wrong, even when clearly you don't need to claim them. But legally not paying taxes is somehow worse? "David Cameron and senior ministers are not planning to disclose their tax returns in the "very near future", Downing Street indicated today. The Prime Minister said in April that he expected information about his finances to become public, and was relaxed about the prospect. The comment came amid controversy over the decision to cut the 50p top tax rate, and after London mayoral candidates released their records. But a Number 10 aide said this morning that the proposal is still being "looked into". Ministers are "not closed to the idea", but it is "not a very near-future thing", the aide added." Really? SOYMB is not at all suprised. A Winnipeg newpaper recalls the the 1919 Winnipeg General strike. "When the workers of Winnipeg went on strike, the newspapers went on the offensive: 'Bolshevism invades Canada,' screamed the New York Times. But for most of the men and women who streamed out of the warehouses and onto the streets, the 1919 Winnipeg General Strike was not an exercise in ideology. Instead, its roots grew from a yawning chasm of economic inequality that had become too impossible to ignore." Hugh Amos Robson wrote in his 1919 Royal Commission report on the causes of the strike. "There has been... an increasing display of carefree, idle luxury and extravagance on one hand, while on the other is intensified deprivation." What exploded forth was a historic labour protest and one of the biggest social resistance movements Canada has ever seen. On May 1, construction and metalworkers walked off the job, demanding higher wages; on May 15, after employers refused to negotiate with two umbrella unions, the women who worked the city's telephones walked off their shift; nobody came to replace them. Within hours, almost 30,000 workers had joined the strike. It was almost the entire workforce of the city. For weeks, everything stopped -- except for protests, arrests and a fractious war of words waged by newspapers. When all was said and done, the strikers held out for 40 days. Most of those days were peaceful, but that was shattered on June 21, 1919 , Bloody Saturday, when 25,000 workers assembled downtown for a planned march. Winnipeg Mayor Charles Gray read the riot act. Police on horseback charged into the crowd of strikers, beating them with clubs. By the time Bloody Saturday was over, one man -- Mike Sokolowski -- was dead of a gunshot wound. Another died in hospital a few days later. On June 26, strike leaders called it off. 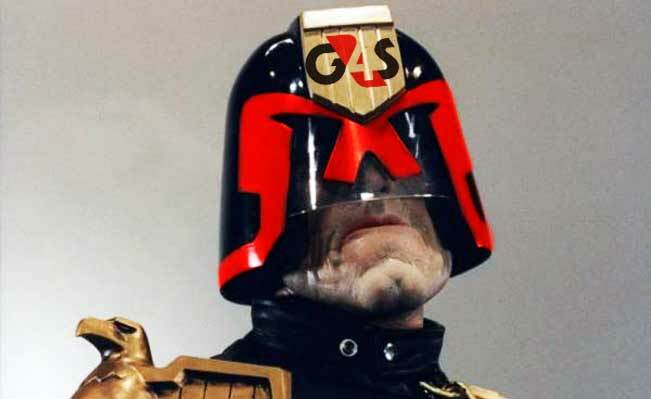 The G4S logo really is popping up all over the place — in your local supermarket, on your local street. And it’s all over the London Olympics, where 25,000 security people will be working under G4S control. The company’s bill for that lucrative contract - £300 million.The world’s biggest security company, G4S operates in 125 countries with 657,000 personnel. Its turnover has almost doubled since 2005, standing at £7.5bn in 2011, government contracts made up just 27% of G4S's total revenue in 2011. The company now runs six prison institutions across England. The company has 17,000 former police officers on the books as part of its Policing Solutions database. The site works like a private police employment agency, offering former officers, usually on short-term contracts, to forces around the UK and often the world.The company also runs more than 500 police cells in Lancashire, south Wales and Staffordshire. In April it began work on a £200m contract in Lincolnshire where it will design, build and run a police station in a deal that has seen more than 575 public-sector police staff transfer to the company. 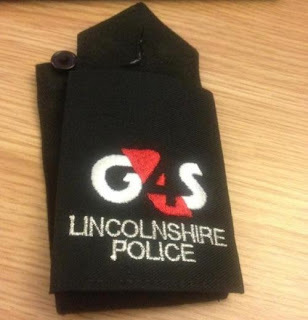 The G4S logo will now appear on police uniforms if you happen live in the English county of Lincolnshire when it emerged that 200 staff had been issued with uniforms that bear the G4S logo alongside that of Lincolnshire police. In a £1.5bn deal being discussed by West Midlands and Surrey police, the list of policing activities up for grabs includes investigating crimes, detaining suspects, developing cases, responding to and investigating incidents, supporting victims and witnesses, managing high-risk individuals, managing intelligence, managing engagement with the public, as well as more traditional back-office functions such as managing forensics, providing legal services, managing the vehicle fleet, finance and human resources. 10 more other police forces are also considering outsourcing. Mel Kelly, a journalist for the Open Democracy website, says it is already possible to construct a scenario where a crime is committed and at each stage it is G4S rather than the police who are involved. "It is quite conceivable now to have a violent crime where a scene of crime officer employed by G4S is dispatched, a forensic team employed by the company collects swabs dispatched to G4S forensics, a suspect is held in cells run by G4S and appears before a magistrate trained by the company. He is convicted and sent to a G4S prison. On probation he attends a G4S work programme wearing a G4S electronic tag. This is not a dystopian future but the reality as it is now." Unite's national officer, Peter Allenson "This is not the back office – we are talking about the privatisation of core parts of the police service including crime investigation, forensics, 999 call-handling, custody and detention and a wide range of police services...This is not about making the police force more efficient – it is about transferring our crucial public services to the private sector, which has a totally different ethos and set of priorities. Privatisation has nothing to do with making our streets safer. It has everything to do with profit." G4S, implicated in the death of the forcibly deported immigrant, Jimmy Mubenga, feared and distrusted by asylum seekers, is about to be awarded contracts to run asylum seeker housing throughout the North East, Yorkshire and Humberside. G4S has been severely criticized for its operations in the occupied Palestinian territories and in prisons and detention centers in Israel, including those housing children and “administrative detainees” held without charge or trial. Palestinian organizations called for action against G4S for its role in Israeli prisons where Palestinian political prisoners from the occupied territories are held in contravention of international law. John Reid — Labour Party hard man, former secretary of state for health and defence, and home secretary, out of government but still a serving MP, has been taking £50,000 a year from G4S, hosting ‘business breakfasts’, and talking up the scary threats and looming crises — cyber attacks, pandemics, global warming, energy shortages, mass migration — that spell nothing but business opportunities to G4S. Rio+20 has now begun with UN head Ban Ki-moon announcing "We are now in sight of a historic agreement - the world is waiting to see if words will translate into action, as we know they must." In almost every part of world popular expectations for peace and prosperity are declining. Pessimism is pervasive, optimism, a rarity. As the world economy deteriorates, global problems remain unresolved and escalate: poverty, inequality, climate change and pollution. The doomsday scenario for global warming is as fearful as ever. Gloom grows. Rio+20 is billed as yet another chance for world leaders to put the planet on a sustainable path to survival. "The Rio+20 conference is an opportunity for the world to get serious about the need for development to be made sustainable," said David Nussbaum, CEO of WWF-UK. "We need to elevate the sense of urgency, and I think this is ultimately not only about our lives but the legacy we leave for future generations." The director of the Zoological Society of London's Institute of Zoology, Professor Tim Blackburn explained "Nature is more important than money. Humanity can live without money, but we can't live without nature and the essential services it provides." Finally, a true statement but just how many will heed those words and how many will act upon them? The World Socialist Movement holds out little hope that Rio+20 will be any different from any of the other previous conferences. Ever since the first international conference on the environment in Stockholm 1971, there has never been any shortage of well-intentioned statements and well-meaning declarations. And they are also never short of prescriptions for others on how to cope. There has been a yawning gap between promises and performances and between pledges and deliveries. According to the UN Environment Programme we now have "treaty congestion". World leaders have signed up to an impressive 500 internationally recognised agreements in the past 50 years, including 61 atmosphere-related; 155 biodiversity-related; 179 related to chemicals, hazardous substances and waste; 46 land conventions; and 196 conventions that are broadly related to issues dealing with water. In 1987 delegates from the industrialised countries met in Montreal and agreed to phase out the production of chlorofluorocarbons (CFCs) by 1999. The US was keenest because it had a virtual monopoly on the production of substitutes. The other countries wanted time to catch up on the technology. But many of them refused to sign, on the grounds that they couldn’t afford the substitutes. It was the same story with CO2 emissions. Those countries with above average dependence on coal and oil-fired power stations, led by the US, drag their feet. Paying for filters or building other types of power stations would raise their costs and put them at a disadvantage in competing with other countries on world markets. So any treaty on the environment and climate change global warming would have to be an inadequate compromise between rival capitalist states, full of loopholes and get-out clauses to protect vested interests. In 1992, scientists in Rio warned that humanity was on course for a collision with nature. They predicted an environmental crisis by the year 2020 unless humankind can achieve a change in the nature of its "stewardship" of nature. We see little reason to contradict that conclusion. What has followed the Earth summit at Rio has failed to acknowledge that there is any conflict between making profit and protecting the environment.The goal of sustainable development is seen as achievable within the market system. Conservation and profitability are seen to be compatible. In 1997 at New York delegates from the world’s leading nations failed to agree on new targets for CO2 emissions. The Kyoto accord of 1997 was an agreement amongst the developed nations to cut the release of greenhouse gases that would allow countries innovative, flexible approaches. In practice, being "innovative" and "flexible" appear to be more designed avoid commitments rather then fulfil them. The US administration announced that it would not implement the protocol or in President George HW Bush's words "The American way of life is not negotiable". The 2001 international conference on global warming held at The Hague broke down. Predictably, there was no agreement and again the crucial arguments about what can or what cannot be done were all about money and costs. All the various conferences and summits have failed to make any significant progress and it could be said that they are all mere empty rhetoric, intended to put a public relations gloss on government actions which in reality are making the problems worse. It would be difficult to argue against this. On the face of it the problems of pollution, global warming and climate change may appear to be technical problems. But this is mistaken. Even where the science may not be complete, a precautionary principle should apply. It is reckless to gamble with an existing balance of natural systems on which all life depends. The basic cause of pollution is the capitalist system. The problem is out of control because the economic constraints of the system prevent the problems being solved. A sane society would simply consider the technical options available. Then, following democratic decisions on the actions to be taken would do what was necessary to achieve the solutions. This rational procedure is impossible in the mad world of capitalism. Only by replacing the profit system with truly democratic organisation can we give the environment the priority it deserves. To be cruelly unkind to those many well-intentioned scientists and sincere environmental activists; they are little better than King Canutes trying to hold back the tide as long as they fail to challenge capitalism. "Environmentalism has failed" is a statement that comes from famed environmentalist David Suzuki. The primary cause of this failure has been corporate power and dominance. A truly sustainable and ecologically sound society, will need to have certain basic characteristics. It will need to stop economic growth after basic human needs are satisfied. It will also need to promote, encourage, and reward the positive human traits of cooperation, sharing, empathy, and reciprocity. And it must operate with respect for, and care of, the environment—locally, regionally, and globally. An economic system that is designed to satisfy basic human material and nonmaterial needs for everyone will require a democratic decision-making process that is based in communities and the cooperation between many communities and regions. Socialists don't make the mistake of appealing to the governments or corporations of the world to stop polluting our world, because we know that is futile. Instead we call on our fellow workers to join us in the struggle to rid the world for ever of the cause of these problems, world capitalism. In the period from 1970 to 2008, the eco-system has lost 30 percent of its biodiversity. In tropical areas, the loss has even been as high as 60 percent. This is not happening by accident. This is the result of an economic system that treats nature as a thing, as just a source of resources. For capitalists, nature is mainly an object to posses, exploit, transform and most specially profit out of it. 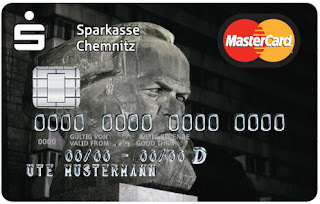 In The German Ideology, Marx writes of the working class that they had the historical task of bringing their “‘existence’ into harmony with their ‘essence’ in a practical way, by means of a revolution” and spelled it out in even more ecological terms ".. The ‘essence’ of the freshwater fish is the water of a river. But the latter ceases to be the ‘essence’ of the fish and is no longer a suitable medium of existence as soon as the river is made to serve industry, as soon as it is polluted by dyes and other waste products..."
For the fortunate few their are record profits, escalating CEO pay and an ever-growing share of the nation's income. The whole point of capitalism is that one person's labor enhance's another person's capital. After dipping during the Great Recession, corporate profits have now skyrocketed past their pre-recession level. After-tax profits and corporate profits as a share of Gross Domestic Product are now higher than they were in the middle of the last decade, after a similar vertical spike. Americans’ ability to collectively bargain has waned, so has their power to keep all corporate revenue from going to top executives and shareholders. The laws and rights structure of America emphasize the primacy of ownership. Owners' rights extend over the whole of a company's revenue, including salaries. Unions are the one check and balance on their power - the only one. 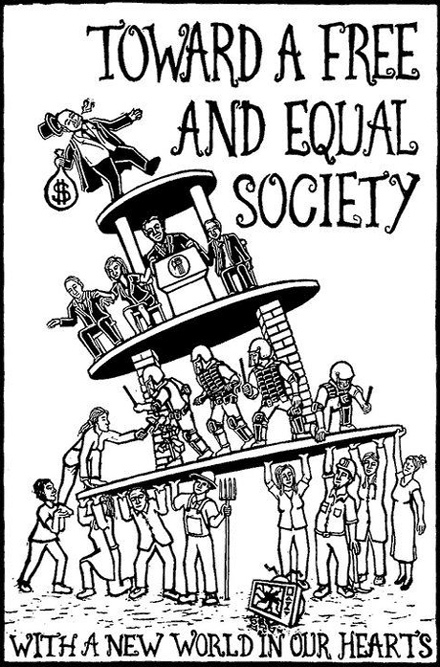 Workers have no other power or right to maintain this necessary balance except to organize and collective bargain. Unions may need to be reinvented but they are indispensable. Economist Heidi Schierholz of the Economic Policy Institute explains " ..there are few alternatives for workers from which to choose from. The lack of bargaining power is tied to a lack of outside options for employment. That's why the number of voluntary quits is very, very low." Workers don't have much power individually when there is a long line of people applying for jobs extending around the block and that situation undermines the bargaining power of workers both individually and collectively. The government sector has cut 502,000 workers from payrolls. The collective power of workers through their unions has been severely diminished by a set of devastating policy changes, most recently with restrictions on public employees' bargaining rights in Wisconsin and enactment of anti-union "right to work" legislation in Indiana. The systematic weakening of union power, accompanied by the fierce competition for a shrinking number of quality jobs, has set the stage for wage-slashing by U.S. employers. Starting wages in manufacturing—a mainstay of high-wage, family-supporting jobs—have dropped by 50% in just the past six years. Two-tier and multi-tier wage structures—which freeze the pay and benefits of long-term union members at current levels while slashing starting wages by 40% or more for new workers—have begun to proliferate in the face of labor's weakened bargaining power. Unions have declined due to intentional union-busting from corporations with assists from federal and state governments. Historians have shown that the supposed "Grand Bargain," where companies agreed to unionized workplaces in return for an end to radical workplace action was never accepted by the capitalist class. Corporations repeatedly looked to move their unionized factories to non-union states. When unions proved too popular across the United States and when federal labor and environmental protections began affecting profit margins, corporations lobbied the federal government to promote globalization, first through the Border Industrialization Project that allowed American companies to build on the Mexican side of the border and then through a full-scale race to bottom, as companies traveled the globe looking for easily exploited labor. Recent labor defeats are simply the next round in this corporate assault upon the rights of working people. Capital owners like to keep labor disorganized. The United Auto Workers has been forced to accept pay packages for new hires at the Big Three manufacturers that provide half of what new hires got a decade ago. At $14 an hour, new auto workers earn about the same as America's service-sector workers. General Electric's which enjoyed a 16% increase in profits in 2011 on top of $14.2 billion in 2010 and managed to pay no corporate taxes was able to force its unionized workforce to accept a new system of risky high-deductible healthcare policies and to exclude new workers from defined-benefit pension plans. But nothing is more indicative of GE's new mindset than the recent wage cuts imposed at its non-union plant in Mebane, North Carolina, where veteran workers had earned as much as $23.67 per hour. After being recalled from brief layoffs, long-time workers with up to 20 years of service at GE discovered that their pay had been cut by 45% and that they had been removed from the company's defined-benefit pension plan. In last year's negotiations GE repeatedly informed labor unions that it viewed $13 per hour a competitive wage in manufacturing. Toyota's goal has become $12.64 an hour, the median wage for comparable manufacturing in Kentucky, where it has its largest plant, or $10.79 in Alabama, where it is building a new plant. Unions are necessary. There is no other proven method to ensure that working-class people receive decent wages, safe working conditions, or a voice on the job. Unions continue to provide workers high-quality representation, helping them receive the full value their work generates while protecting them from capricious bosses, hazards on the job (unions were responsible for making health and safety legislation), and harassment from superiors. There are no other known systems that provide workers these benefits. An organization that collects the people together to coordinate how they structure workers' relationships with their employers is necessary for every industry. Without that system, employers hold all the cards. While management possesses the ability to coordinate labor pricing, workers do not. Working classes need an organizational structure that allows them to negotiate pay and benefits. A union structure of some type allows labor to concentrate power is critical to negotiating higher average labor prices. As anyone who's worked for a major corporation knows, you dont negotiate with your manager at review time. You can complain, beg, wheedle or whatever -- but he or she already has decided pretty much what you'll get and unions provide a counter-balance to that management dictatorship. Human Resource departments are ineffective, controlled by my employer. To assume they have any notion of "fairness" or right and wrong when dealing with an individual employee or group of employees is laughable. They are only as fair or as responsible as they are forced by some external mechanism; whether that be PR, government regulation, or, more importantly, employee unionization. In an economy where even having a job is considered lucky, a body willing to defend workers' rights is more than welcomed. Without stronger unions and more determined workers' resistance we can expect even further acceleration of wage-slashing in America. Doped up for the game? What might a life without money mean?